W. F. M. Arny was active in numerous territorial Kansas activities, serving as an agent for the National Kansas Committee and as a delegate to the Leavenworth Constitutional Convention. He was a member of the 1858 territorial legislature and of the Topeka legislature. 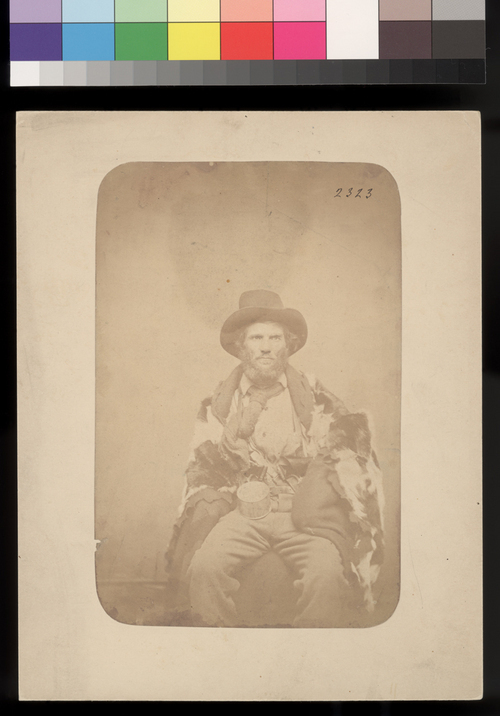 The identification on this photograph indicates that this is a disguise he used in Missouri in 1856.